Recently a budget-conscious friend who is retired from her career advised us that food at the Great Canadian Superstore is 15% cheaper than at other stores. We believed her. It is true you cannot beat the overall cost savings at this big box store. Although if you know your prices you can find sales at the other grocery chains that will match or beat Superstore prices. So it does pay to compare. 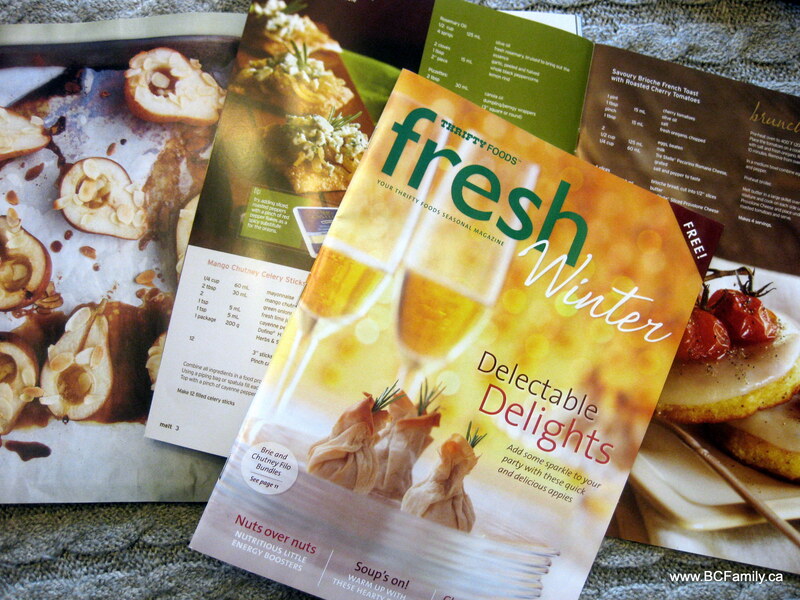 Shopping at smaller chain stores such as Thrifty Foods is also a pleasure because there are carefully chosen product lines, high quality produce and meat and superb customer service. The chocolate needed to make these sweet treats is available in chunks in the Thrifty Foods bakery department. Line a large baking sheet with parchment paper. Place the chocolate in a heatproof bowl and set over simmering water. Stir and heat the chocolate until just melted. Remove from the heat and mix in the cashews, cranberries and currants. Drop heaping tablespoonfuls of the mixture on the baking sheet, ensuring they don’t touch. Refrigerate the clusters until set. Store in a tight-sealing container at cool room temperature. If stacking, be sure to layer the clusters between parchment paper. Instead of dark chocolate, make these clusters with milk or white chocolate. In place of cashews, use whole almonds or pecan halves in the clusters. 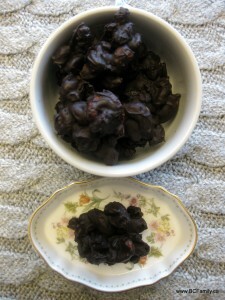 Try dried cherries instead of the dried cranberries.